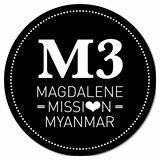 Canossian Myanmar Mission News Update #21 - click here to read (in .pdf format). New Canossian App now available! Words of confidence. Words that open to the meaning of life. Words to enlighten your day. From today, every day, the words of Saint Magdalene of Canossa arrive on your smartphone,thanks to the new App for Android. Download the installation instructions here. The Canossian's premise is simply to "make Jesus known and loved" in the spirit of Jesus Crucified, in the footsteps of St Magdalene of Canossa and under the maternal cloak of Mary, Mother of love. 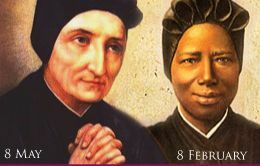 Thus we are yours ... Daughters of Charity, Servants of the Poor! We warmly welcome you to our Canossian world! Every day, the wordsof St Magdalene aarrive on your smartphone. Click here for download instructions.